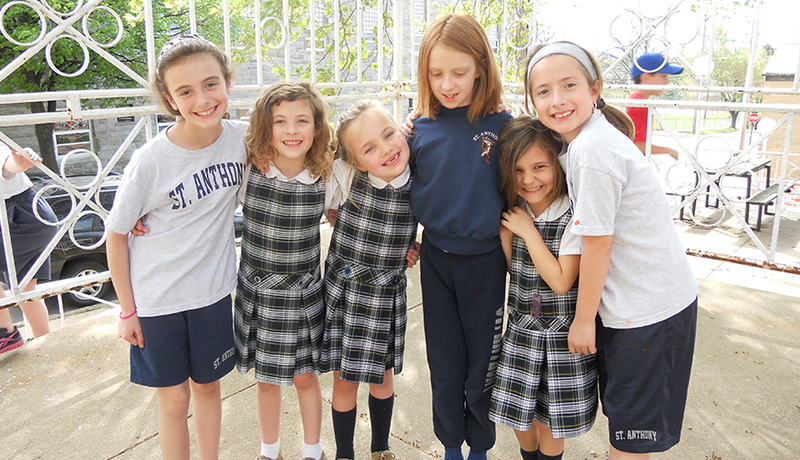 St. Anthony's After School Program serves children from Kindergarten through 8th grade, providing a safe, secure and home-like environment. Ms. Kristi Marshall, After-School Supervisor and her staff, all bring various skills and talents which they share with the children. The program includes a wide variety of activities, both indoor and outdoor, geared to different age groups, interests and abilities. Arts and crafts, organized sports and computer time are just a few of the activities. A monitored homework room is available for the children daily. Additionally, full suppers are offered to the children at 3:15 p.m.
September through June, Monday through Friday, from grade school dismissal to 6:00pm. Feel free to contact us for details. We will be happy to answer any questions that you may have about the operation of the center.